In the week following the United Kingdom’s historic decision to exit the European Union, economists the world over have rushed in to calm the situation. Indeed, there is much calming to be done, as “Brexit” (as it is popularly referred to) represents a major shift in global policy with trade ramifications that impact the economic outlook of many nations – which in this day and age are intrinsically interrelated. Thus, while many local analysts have been quick to pronounce that the impact will be “limited” and “short-term”, it is prudent to note that this prediction hinges on an expected short-term volatility in the UK market. Global economic commentators, however, warn that the period of uncertainty could last longer, especially if the UK sticks to its stipulated two-year transition period to negotiate its way out of the EU. Central to this concern is the fact that Britain will not be able to make any substantial policy changes, such as those necessary for trade and taxation, until it has properly negotiated the terms of its exit. This could translate into a prolonged period of uncertainty which could have a significant impact on crucial sectors such as its property market, which has been widely regarded as “blue chip” for decades. UK-based global real estate firm Knight Frank, which also enjoys a strong presence in Malaysia, notes that Brexit will indeed have wide reaching consequences, but it remains confident that those seeking long-term gains – especially in the London property market – will ultimately not be deterred. Still, there are challenges ahead, notes the company’s head of UK residential research Grainne Gilmore. 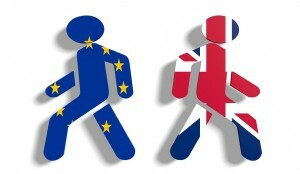 “The UK vote in favour of Brexit has the potential to make a relatively swift impact on the housing market. The scale of this effect, especially in the medium- to long-term, will depend on the outcome of negotiations on the UK’s exit,” she said. Gilmore also warned that any longer term increase in inflation could trigger base rate rises, which will translate into higher mortgage rates. This will make the scenario challenging for those who are on variable rate deals. If house prices decline, this will put pressure on highly leveraged borrowers. Knight Frank also anticipates that many ongoing deals with foreign investors into UK’s commercial property market could now be put on hold or shelved during this period of uncertainty. Locally-based CIMB Research noted that there is likely to be a dip in interest in the London property market among local investors during the negotiation period due to uncertainties regarding pricing, taxation and currency exchange rate. “Foreign interest may eventually recover, but the extent of recovery will depend on the terms agreed,” it said. Apart from the extensive impact Brexit has had on global stock markets, the main concern, from the Malaysian perspective, is the amount of exposure we have in UK’s now volatile property market. 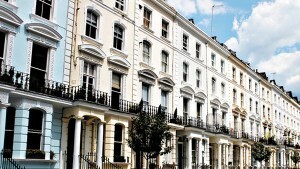 While on the trade front the impact is expected to be minimal, as Britain is not among our top ten trade partners, Malaysians do represent one of the largest blocks of Asian investors in the London property market and those who are already committed are likely to feel a significant pinch. Knight Frank’s head of research for Asia Pacific Nicholas Holt said UK’s EU exit decision will result in some immediate loss of income, but not in the long term. “For existing Asian property owners, the fall in the pound will impact the repatriation of any income returns, as well as gains from any disposal. Although there is likely to be more volatility in the market, ultimately most investors are looking to the long term, so they will continue to hold their assets, in the hope that the short-term instability will eventually subside when more clarity of the UK’s role in Europe in determined,” Holt said. Malaysian developers also represent a significant presence in the UK market and some are currently involved in very high-profile projects such as the Battersea Power Station redevelopment. While most remain confident that they will not suffer any long-term effects of Brexit, local economists warn that the short-term impact could be hard-hitting. They point out that companies such as SP Setia Bhd have UK projects that are worth RM16 billion in gross development value, while Eco World Development Group Bhd has RM11.89 billion. Brexit, they say, will impact all developers engaged in the UK market in terms of sales and Malaysian developers will be no different. Other key home-grown developers currently engaged in the UK market include Sime Darby Bhd, IJM Land Bhd and Eastern & Oriental Bhd. 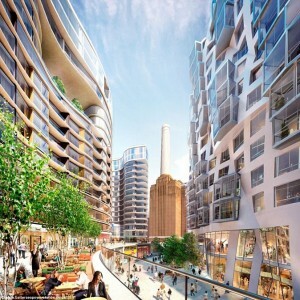 Because of its stature, and the number of local investors it has generated, the Battersea project in particular is being put under the microscope. The project is 40 per cent owned each by Sime Darby and SP Setia, while the Employees Provident Fund owns the remaining 20 per cent. According to CIMB Research, the impact of Brexit on the project could be two-fold. Firstly, if the pound remains weakened this will reduce the potential earnings from the project in terms of ringgit. Secondly, sustained uncertainty surrounding UK’s economy could substantially reduce demand for UK properties among both British and foreign buyers. For the most part, much hope rests on investors viewing the UK as a long-term property investment haven rather than a vehicle for short-term gains. From that perspective, experts say, Britain still has much to offer and investors have much to gain. Sime Darby, for example, does not expect Brexit to affect the viability of the Battersea project. 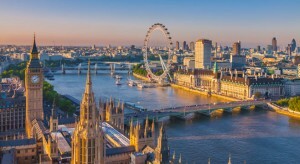 The company believes the development will continue to generate interest in the longer term, as London is unlikely to lose its position as a key global investment destination and major financial centre. 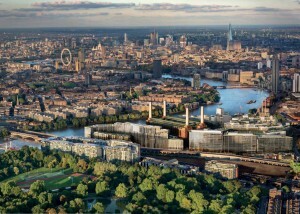 IJM Corp Bhd chief executive officer Datuk Soam Heng Choon adds to this, saying: “London, being a global city, will always retain its allure to investors and our long-term strategy is to continue to invest in the UK unless the macro-environment there changes drastically, which is not foreseen to be likely”. Knight Frank pointed out that demand for prime London property rests on a wide range of drivers, most of which are irrelevant to the referendum decision. This includes the scale of London’s business cluster, depth of skills, education, lifestyle and language. As such, it is not easy to identify an obvious alternative destination for investors despite the short-term nervousness. “The decision, however, could also present a buying opportunity, as the significant drop in the value of the pound, as in 2009, could lead to an uptick of interest by [new] Asian investors, who have thus far adopted a wait-and-see approach,” said Knight Frank’s Holt, who added that these individuals will now see their buying power increase significantly. However, as with most international investors, Malaysians will be looking at clear signs of recovery before recommitting to the UK market. Indeed, many local analysts are prescribing a wait-and-see approach, and by that logic, much still depends on how quickly Britain can settle the terms of Brexit with the EU.